Most motorists believe they are better drivers than their partners, a new survey has discovered. It might not be the best week to be saying so given that tomorrow is Valentine’s Day but the CarsIreland.ie study has discovered that 74pc do feel superior to their other half when it comes to driving. * 16pc felt they were ‘average’, while a thankfully-low 2pc were happy to call themselves ‘aggressive’ on the road. 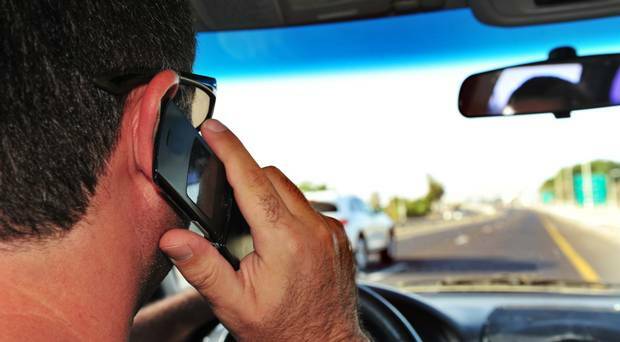 Mobile phone usage at the wheel topped the main gripes about other drivers (27pc). Not indicating and tailgating, respectively, came a close second and third. I think most people would agree with those complaints. We’re getting lots and lots of correspondence about the use of mobile phones at the wheel. Other areas of other-driver criticism included hogging the lane (drives me mad), poor parking and “misuse of roundabouts” (negotiating them appears to be beyond the ken of many). People love listening to radio when in their cars, another part of the survey discovers. Almost half of them tune into talk shows while at the wheel. Nearly a quarter (23pc) opt for music shows, while 15pc prefer to listen to music streamed from their smartphone, podcasts or audio books. More than a quarter (27pc) revealed they sing in the car. Mercifully, only half do so when driving on their own.